We've seen a lot of costumes in our day. Some are funny, some are scary, and some of them, like this Child Ear of Corn, are simply wonderful. There are so many golden possibilities for an outfit like this. Ooh! Here's a good one for a group: you and a friend each put on one of these suits and a police hat. Then, get a couple of your other friends to dress up like crooks or outlaws. Together, you'll be cobs and robbers! Or here's a couples costume that works like a rebus: get a pal to dress up like a can of cola, and when you stand side-by-side people will see that you're really popcorn! Or will they think you're supposed to be high-fructose corn syrup? Okay, some of these ideas might need a little polish. Good thing there's always the stalk approach, which will still make for a sweetly end-ear-ing costume. 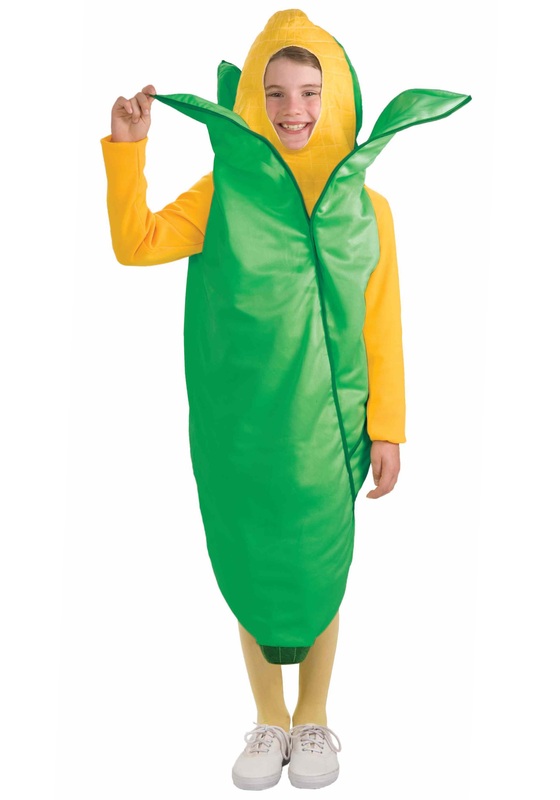 No matter how you like to eat your corn, we think you'll have a lot of fun wearing it!